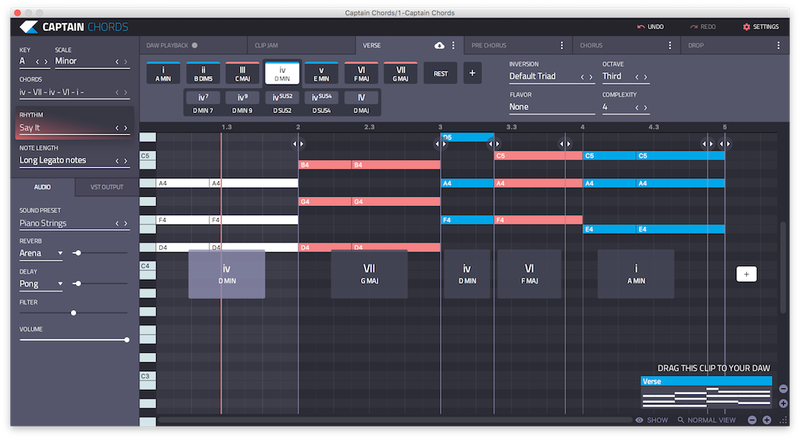 We are excited to share our newest development: Captain Plugins - Brand-new VSTs for music composition. Write your own chord progressions, catchy hooks, and basslines. Create your own beats. Speed up your music production. Learn from the community of other musicians who have written great songs. Best of all? You can do all this inside your DAW!! Learn more about the plugins. There are 4 more plugins coming soon. If you own a Captain Plugins license, you'll get them automatically, for free.